Manifestos of the TRS and Prajakutami are almost similar, but what is lacking in both of them are policy alternatives. 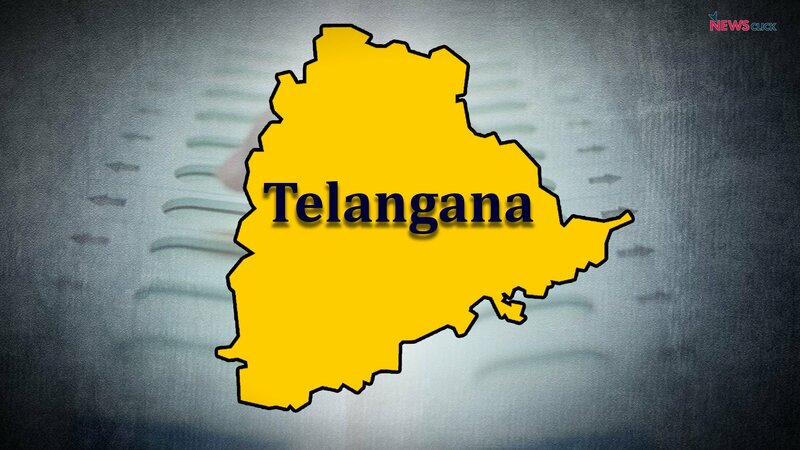 Within a few hours, Telangana state is going for polling to elect its second assembly on December 7. As the campaign ended on Wednesday evening, one significant question left with the voters to choose their next government is this: How did Telangana progress after it became a separate state? For the 119 assembly constituencies, 1821 candidates are in the race. The key political parties in the race are Telangana Rashtra Samithi (TRS), Prajakutami - alliance of Congress, Telugu Desam Party, Telangana Jana Samithi and CPI, CPI(M) led Bahujan Left Front, AIMIM and BJP. The TRS head K Chandrashekar Rao, in his last rounds of electoral speeches had targeted TDP head, N Chandrababu Naidu, accusing him of hindering in the development of Telangana in the last four years and urged the people to give TRS another chance to power. On the other side, Chandrababu Naidu and Congress chief Rahul Gandhi duo had targeted KCR, pointing out his failure in implementing the manifesto. Overall, the two crucial issues in these elections has been employment and poverty. While all the contestants have reached out to the voters promising numerous welfare schemes although without any policy alternatives, the major criticism against the TRS party has been that it outrightly failed in employment generation and implementation of its election manifesto. After TRS government suddenly dissolved the assembly in September, sending shock waves to the opposition parties, it appeared that the TRS was ahead in the campaigning. But, the recent opinion surveys suggest that the Congress-led alliance is on an upswing in the last two weeks. Recently released India Today’s Political Stock Exchange that the TRS has gained 4% in a month, with 48% of respondents backing the present government for the next term as compared to 44% last month. The survey found a similar trend in the number of voters seeking change of government. As many as 38 per cent voters wanted a change in the government against 34%, a month ago. Another survey, the polling agency, Centre for Voting Opinion and Trends in Election Research (CVoter), has predicted that the Congress-TDP alliance will defeat the TRS. The survey predicted that the TRS would win only a dismal 42 seats, while the Congress-led alliance would bag 64, the BJP 4 and the others would win in 9 seats. According to CVoter, Prajakutami is expected to grab around 33.9% of the vote share, compared to 29.4% for the TRS. These led to speculations of an hung assembly, thus other players such as AIMIM, BLF and BJP gaining importance. A total of 2.80 crore voters including 12 lakh new voters will be deciding the fate of the political parties. Observers suggest that the swing factor could play a crucial role in these elections. Arithmetically, the Prajakutami is strong considering the vote share of previous elections. In 2014, while the TRS party had won 63 seats with 34.3% vote share, the Congress won 21 seats with 25.2% vote share and TDP had won 14.7% vote share. This means that the combined vote share of Congress and TDP equals to 39.9%, which is 5.6% more vote share than that of the BJP. Interestingly, AIMIM chief Asadduddin Owaisi claimed that his party is confident of winning 8 assembly segments, all in and around Hyderabad, and announced his party’s open support to the TRS, clearing the air about the “friendly” politics between the two parties. On the other side, opposition parties and political parties have been alleging that their is an internal pact between the TRS and the BJP. However, BJP is in race in 118 constituencies, it appeared that the saffron party is keen to at least retain the 5 MLA seats the party had won in the previous elections, with the support of TDP. Bahujan Left Front led by CPI(M), although in race in 118 constituencies, the left and bahujan alliance could make its impact in some 20 seats.Two prominent Dalit organisations - Madiga Reservation Porata Samithi and Mala Maha Nadu extended their support to the Congress led alliance.